The Hotel Sahib is a true family resort. You can travel light from home and be ready to find here everything you and your children will need for your holidays. In the hotel you will find cots and beds for children availability of having a baby bath or rails anti-fall. Hotel Sahib offers bikes with child seats, but also from children’s bicycles to roam freely through the streets of Cattolica with the whole family. Our restaurant is equipped with high chairs and kitchenware (dishes, glasses and cutlery) for children, who will enjoy the culinary attentions of our chef who will on a daily basis to the preparation of vegetable broth, noodles and vegetable soup for the meal of the smallest, but also tasty and succulent dishes to the greatest. Do not miss the chance to enjoy fun days and carefree visiting the many theme parks of the Riviera … the Sahib hotel has thought of that! 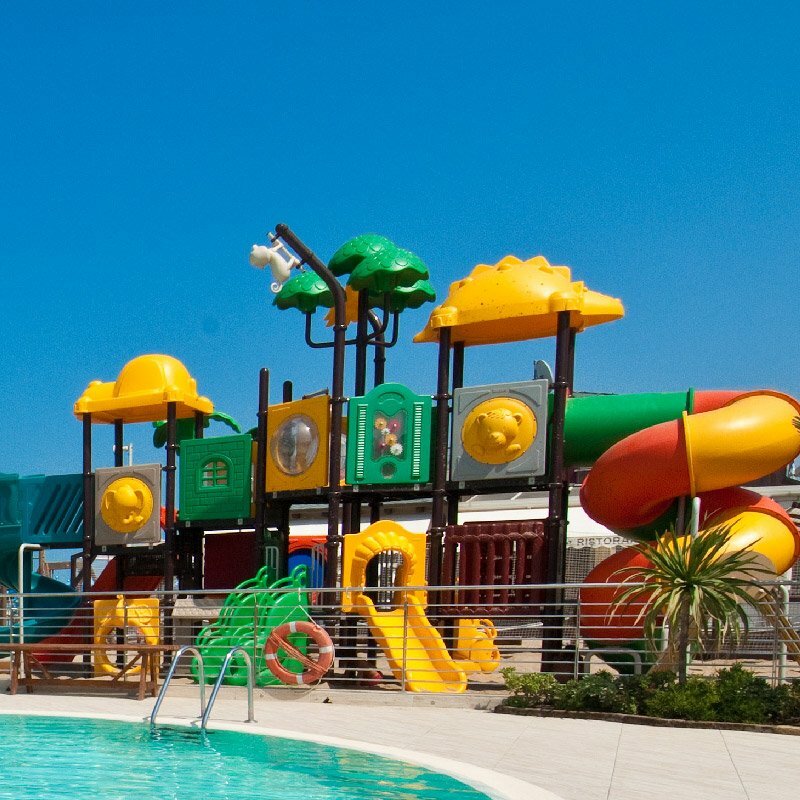 Will be available directly at the reception, tickets for the most beautiful parks such as Le Navi (within walking distance), Overseas, Italy in Miniature, Aquafan and Fiabilandia. 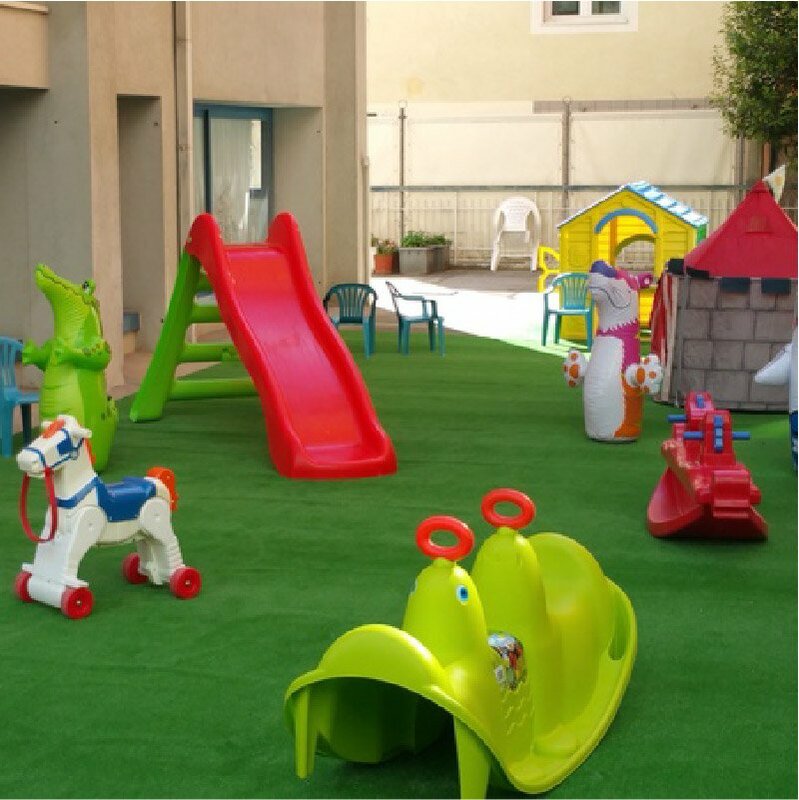 We expect big news for summer 2017: the safe and taken care of in the courtyard playground, will be enriched with a mega-inflatable where your children can jump and have fun together while parents can enjoy a relaxing drink. There will be mini-tables with everything you need to paint and draw, swing and slide to play and socialize with other children. On request, be available baby sitter and a trusted pediatrician who will be directly at the hotel to visit your children. 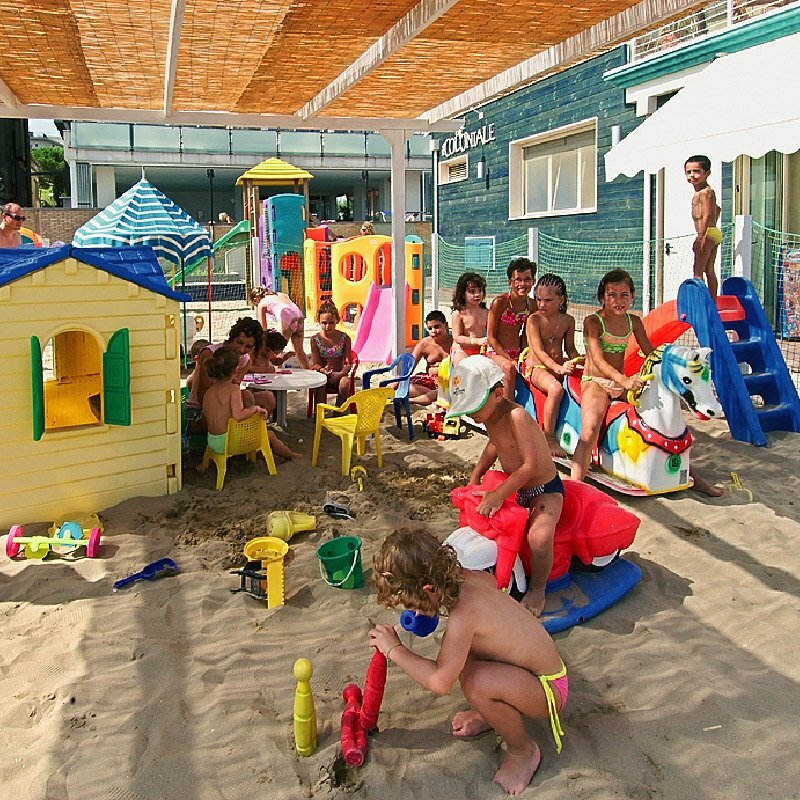 On the beach there will be entertainment facilities and a mini-club for children, sports tournaments, team games, baby dance, face painting all designed and organized to give you a perfect holiday. See the offers page! We always some promotion for the stay of families.